Last weekend I attended yet another potluck dinner. Something about the summer just screams “potluck,” I guess. For this one, I threw together not one but two pesto pasta salads: a regular one made with semolina pasta and olive oil, to share with the crowd, and a fat-free, healthier version made with whole wheat pasta for myself. 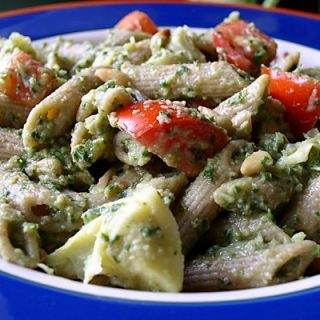 In my healthier version, I used canned artichokes to replace the olive oil and omitted the nuts I normally use, and though I think blending a quarter cup of nuts into the sauce would have made it richer and more flavorful, it was still very tasty for such a super-light pesto. If you’re looking for a pesto with a little more richness, I recommend either the Asparagus Pesto Pasta Salad that I blogged about last month. 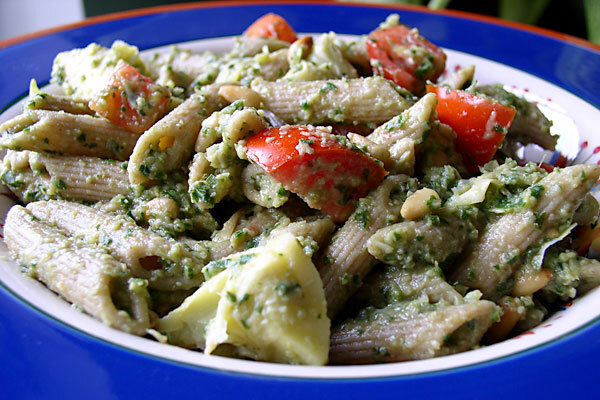 You can find all of my many pesto recipes here: Pesto Recipes. Also, be sure to check out my fresh basil recipes here. Place the basil and 3 artichoke hearts (12 quarters) in a food processor, and pulse to coarsely chop. Add the garlic, nutritional yeast, vegetable broth, and lemon juice, and process until it becomes a thick paste. Add salt to taste. 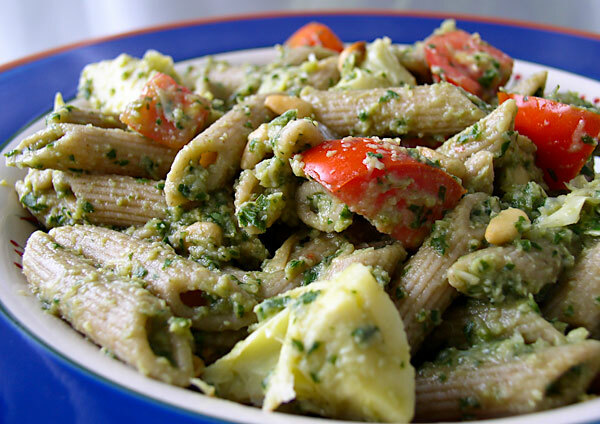 In a serving bowl, combine the cooked pasta with the pesto and blend well. Add the remaining artichoke hearts, the tomato, and the pine nuts and toss. Serve at room temperature. Nutritional data below excludes pine nuts. With pine nuts: 366 Calories (kcal); 6 g Total Fat; (13% calories from fat); 19 g Protein; 70 g Carbohydrate; 116 mg Sodium; 19 g Fiber. I see some of your recipe's with nutritional yeast in them but i've never been able to find it where is the best place to get it and also what would an example of a brand name be? The most popular brand of nutritional yeast is Red Star. You can find it, usually in the bulk bins, in most natural food stores or places like Whole Foods or Trader Joes. It's also available online, if you can't find it locally. Mostly, it gives a savory, slightly cheesy flavor to whatever recipe it's in. You may be able to do without it if you increase the other seasonings somewhat. This looks AH-MAZING! I’ve recently decided to transition myself into vegan. It wasn’t easy at first, but now if I consume any animal product or by product, I get slightly queezy. 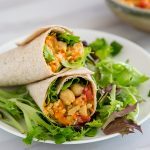 I have used multiple recipes from this website and it has become a daily hit! I plan on going home to make this recipe tonight! Thank you for the DELICIOUS recipes! Keep doing what you do! It makes a difference! Susan: what brand of whole wheat pasta (esp shaped pastas) do you recommend? Jill, I use Delallo and love it. It’s in the International Foods section of my grocery store and comes in several different shapes. What a great site – I’m so glad to have found you! Can your Pesto Pasta Salad be made with rice pasta instead of whole wheat, since I hate the texture of the wheat? I’ve been on a vegan program for 4 weeks & I mostly love it. I get food delivered frozen each week, & it’s mostly good, but I look forward to the time when I can make my own when I have time. Thanks, Marilyn! You can use any pasta you like with this. Also, take a look at my Asparagus Pesto and my Eggplant Pesto, which I like even better than this one. You can use the search box at the top right to find them. Glad you found my site! I made this salad for Independence Day. I doubled the recipe and thought I would have a TON left over (small family). It turned out that everybody loved it and I had the last serving for my dinner the following day. What a great salad! It tasted so fresh. This is one that I will make again and again. Oh my yummmmmers! I am so glad forks over knives posted your blog on facebook! I made just this pesto tonight to eat on some cucumbers with a little chopped olives on top.im soooo glad to know pesto can taste like this oil free! 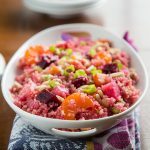 I will be following your blog thank you so much for taking the time to post these awesome recipes!! I tried this recipe last night, it was warm and I didn’t want to heat up the kitchen too much. I have a good crop of thriving basil in the garden, and always have on hand a can of artichoke hearts. 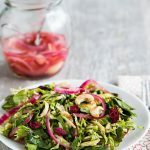 This recipe was quick and easy with few ingredients and there were no leftovers. I will probably double it next time since we love having leftovers for the next day’s lunches. I did sprinkle in a little salt at the end and found it to be too much, next time I won’t use any. Thanks! I recently used spelt pasta for a alfredo recipe and it was great! The texture is so smooth compared to whole wheat pasta. That sounds amazing! I’m going to try this next time I get basil in my CSA! YUM! I like the idea of subbing artichokes for the oil. I’ll have to try this. 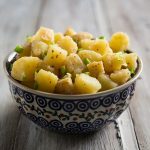 I think it might be good on cooked potatoes as a kind of pesto potato salad. . . I’ll let you know when I get to this experiment.